Although the parachute didn’t pop out during a flight test this weekend of NASA’s flying-saucer shaped prototype spacecraft for future Mars exploration, the agency says the so-called Low-Density Supersonic Decelerator performed to expectations. In an update released yesterday (June 30), one day after the craft made a hard landing in the Pacific, the agency noted that every goal on the flight had been met. The nature of the parachute failure is being investigated; the parachute was a year ahead of schedule in its development, according to NASA. 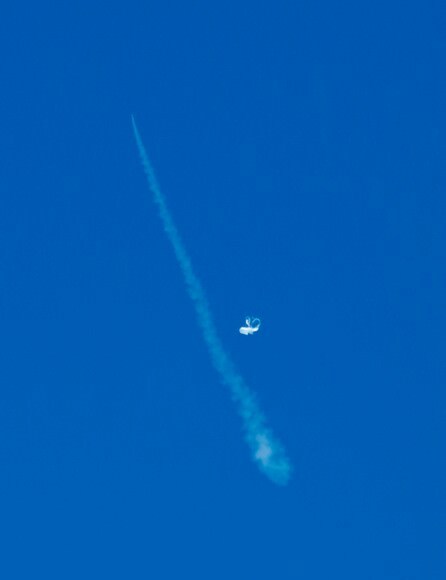 The flight test (which had been delayed for some time due to weather) saw LDSD soar into the sky on a high-altitude balloon launch that took it up to 120,000 feet (36,576 meters). As planned, the test vehicle was severed from the balloon to see how well it would perform during a simulated descent to the Martian surface. With Martian spacecraft getting heavier, NASA is testing out new technologies to control spacecraft during the landing that would safely be able to navigate the Red Planet’s thin atmosphere. 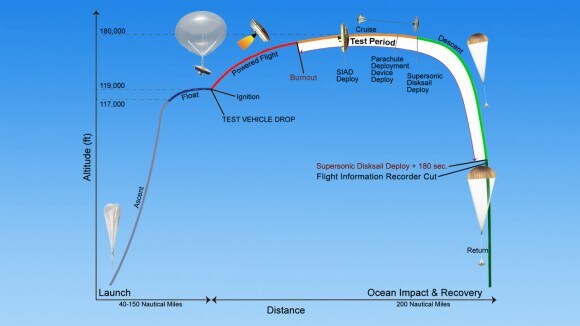 This test was supposed to see the LDSD leave the balloon while spinning sideways (somewhat like a football) and zoom to four times the speed of sound. Next, it was supposed to deploy a Supersonic Inflatable Aerodynamic Decelerator to slow down to 2.5 Mach (speed of sound) and then pop the parachute. The SIAD did inflate as planned, but not the parachute. “All indications are that the SIAD deployed flawlessly, and because of that, we got the opportunity to test the second technology, the enormous supersonic parachute, which is almost a year ahead of schedule,” stated Ian Clark, principal investigator for LDSD at JPL. This was the first of three planned test flights for LDSD, and the next one is expected to go up in 2015. 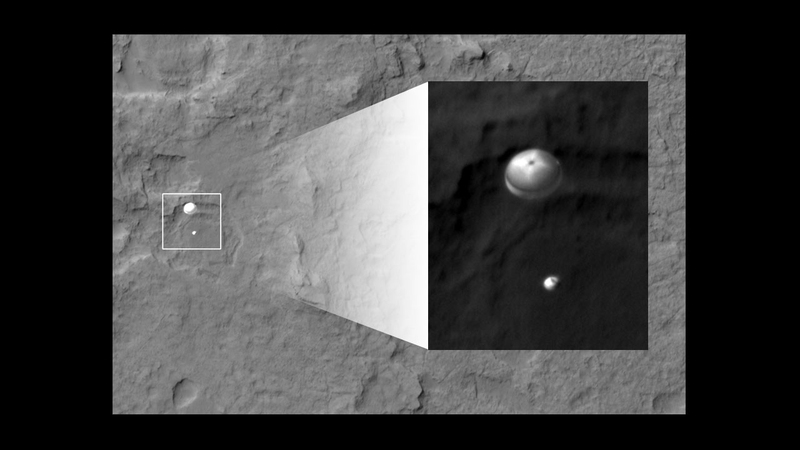 In an unrelated test, NASA successfully deployed parachutes for its Orion spacecraft prototype for humans in a complex manuever last week.